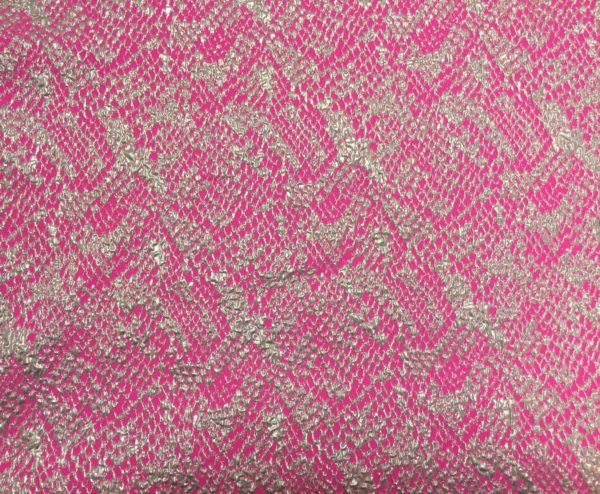 Stretch Jacquard, with lifted Snake Skin Pattern in Metallic Silver against a Hot Pink background – an incredibly versatile piece, medium weight, 2-Way stretch, drape. 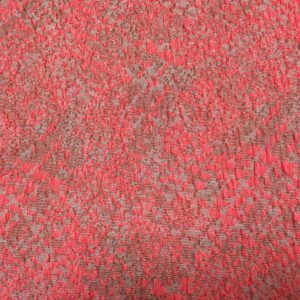 Made of a Rayon/Polyester/Lycra Blend, bottom weight that could be used as a heavier knit or Suiting weight woven with stretch. Perfect for pants, a jacket, top, dress, skirt or gown. France, 45″ wide.